FREE New patient welcome check – we offer you a FREE new patient check up with our Nurse when you enrol with us. Arrange follow up GP appointment if required. Blood tests onsite, to save you driving to and waiting at the laboratory. Need to have a blood test or drop off a specimen? Comprehensive blood-testing and laboratory services are available on-site for the convenience of our patients. Cervical smears: A recall system is used where a letter/text is sent to remind women their smear is due. Cervical Smears are free at Tiaho Medical Centre, and our team is proud to have a high uptake of cervical smears within our eligible registered patients. Why don’t you book and come in with a group of women, and make it a girls day out! 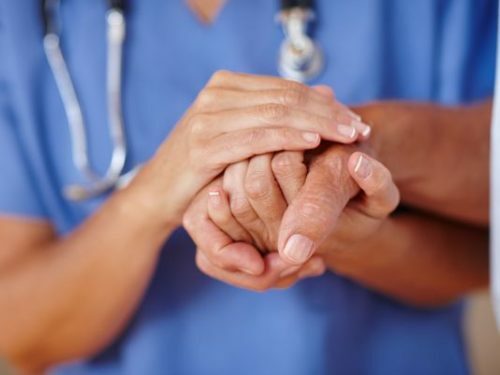 No need for embarrassment/whakama/shyness – our Nurse will make you feel welcome, comfortable and at ease. Throat swabs and Sore Throats: Rheumatic Fever is a serious illness which mainly affects Māori and Pacific children from the ages of 4 – 19 years. It starts with a sore throat (strep throat) which if not treated could cause rheumatic fever and heart damage. To stop rheumatic fever from happening children need to get their sore throats checked straight away. This is a FREE service for children aged 13 – 17. If your child has a sore throat, don’t leave it, bring them along and get it checked. Diabetes Annual review: Jill Jansen RN is Tiaho Medical Centre’s Diabetes Specialist Nurse. Her primary goal is to help people self-manage their diabetes, and ensure patients with type 2 diabetes are receiving the best possible care. Jill is one of the most highly qualified Diabetes Nurses in NZ and we are lucky to have her looking after our patients. Tiaho Medical Centre offers a free Annual Diabetic check to all diabetic patients. The annual check includes monitoring your blood glucose, blood cholesterol, blood pressure, kidneys and feet. We can refer you to other appropriate health professionals when necessary to optimise your health, e.g. for diabetes eye photo-screening. We will work with you to set goals that are right for you to help you manage your diabetes and be healthy. CVRA (Cardio vascular risk assessment): We are currently offering heart health checks, these checks may be free. These heart checks ( CVRA ) are being offered to male patients over 35yrs and female patients over 45yrs. This check involves a blood test (for cholesterol and a diabetes check), measurements of your blood pressure, height, weight and some family history. If you are within the above age band and don’t think you have had this check within the last 5 years please contact our nurse soon. 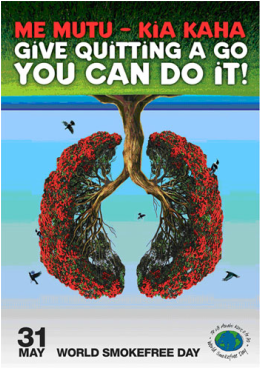 If you are keen to stop smoking and are ready to quit, we can help. We will provide you with all the information you need, ongoing support, and FREE Nicotine patches, gum or lozenges. Phone now for a stop smoking appointment with our Nurse. Sexual Health Screening and contraceptive advice – this service maybe free for you, ask us at Tiaho Medical Centre.